Landscape photography yields some of the most remarkable, aesthetically-pleasing imagery—photographs that anyone would love to have hanging in their living room. As an adventurous, outdoor hobby in a digital era, it tends to be a solitary activity, especially compared to other types of photography. Because of this, you may find yourself lacking a sense of community, which is very important when it comes to learning and improving. Below, we’ve put together a list of photography websites that will give you the tools you need to interact with others and grow as a landscape photographer. If you’re a landscape photographer who hasn’t yet tapped into the world of geocaching, get ready to get excited! Geocaching is a wonderful hobby that’s perfect for adventurers, and coincides well with outdoor photography. It’s essentially a community-based treasure hunt wherein fellow geocachers hide a box in a specific location (marked by coordinates) that contains trinkets, notes, sign-in sheets, and other items left there by other adventurers. Often, geocaches are hidden in locations with a significant natural landmark, like waterfalls, overgrown ruins, or scenic mountain views. As a geocaching landscape photographer, the best strategy is to search for geocaches in your area, and then look through the comments to find a geocache that comes with a beautiful view. You can bring your tripod and gear on the hike with you, find the geocache, document it if you want, set up your equipment to photograph the lovely surrounding landscapes, and then share your experience with others in the community when you get home. If you’re interested, create a free geocaching account here. 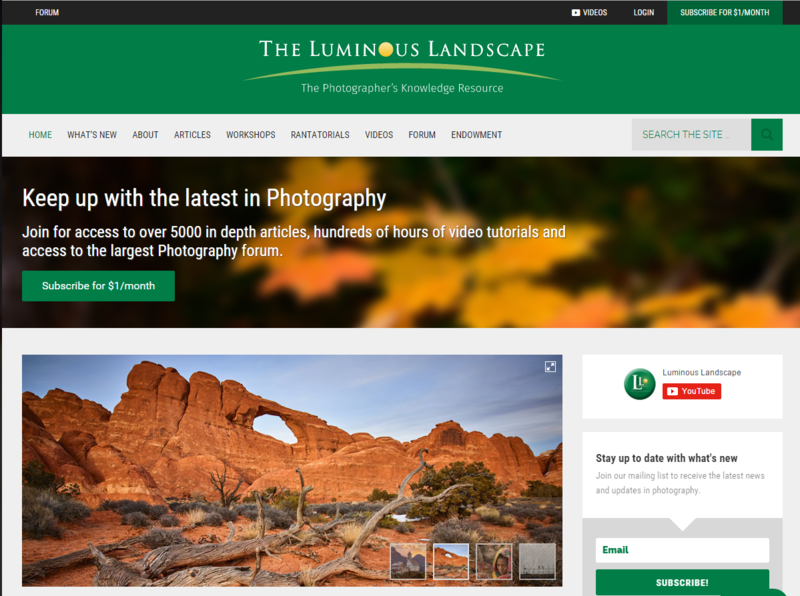 The Luminous Landscape is a mostly outdoor photography website which contains more than 4,500 pages with essays, reviews, editorials, and images geared toward landscape photographers. Its three main contributors include Michael Reichmann, Kevin Raber, and Chris Sanderson, all of which are brilliant photographers with decades of experience. The Luminous Landscape also hosts epic photography workshops. The 2016 workshops include Southern Iceland in Winter, Patagonia Photography Workshop, Atacama Desert and Salar de Uyuni Photography Workshop, The Ultimate Antarctica Adventure, and The Ultimate Iceland Adventure. These events tend to sell out fast, so be sure to book as soon as possible if you’re interested. 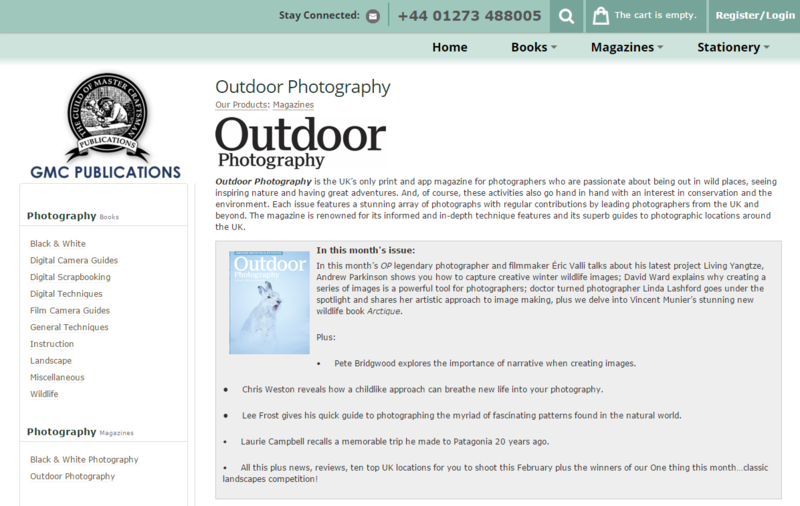 GMC’s Outdoor Photography magazine is a UK publication available via print and through an app. As the title suggests, its content is geared specifically toward adventurers who love photographing nature. Perhaps the most useful aspect of this magazine is that it includes detailed guides to the best photography locations in the UK. If you’re in the UK, and always finding yourself desperate for new places to shoot, subscribing to this magazine will be well worth it. The Outbound Collective is a community of explorers and adventurers, which includes many landscape and nature photographers. 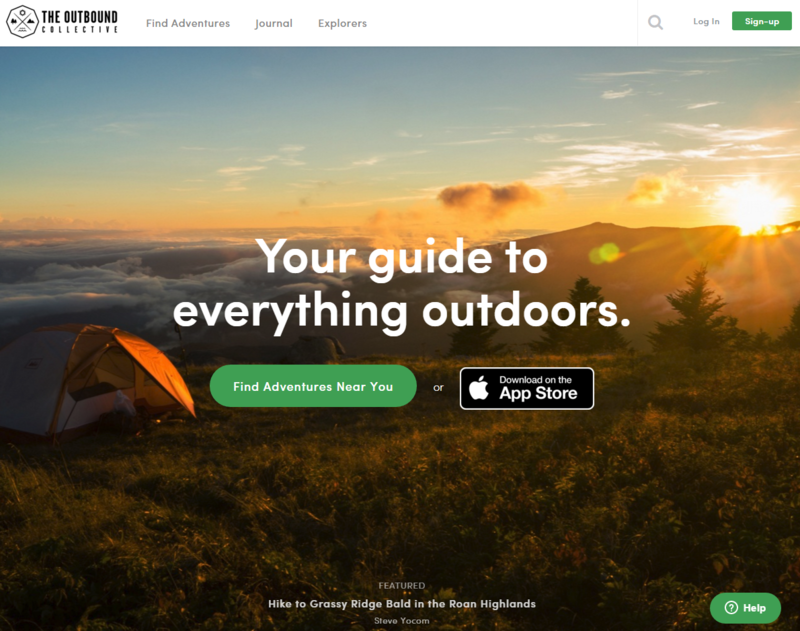 With “Let’s make the outdoors more accessible” as their mission statement, this collective strives to give adventurers quick and easy access to information that will help you discover new sites and hidden gems. You can also use this website to organize group outings, in case you’re not the lone-wolf type. 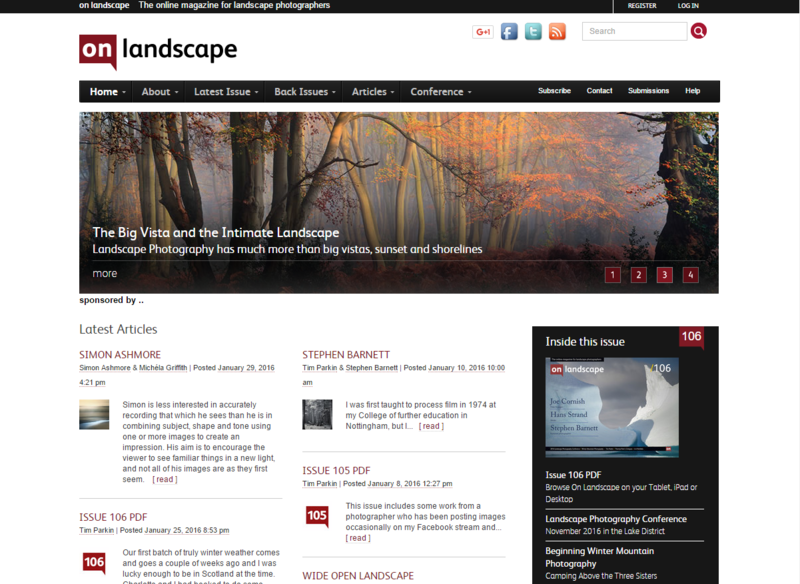 On Landscape is a great resource for landscape photographers. Over the past two years, this website has published around 400 articles, including editorials, videos, book reviews, equipment reviews, and more. On Landscape is available for viewing on your tablet, iPad, or desktop. This publication also holds a yearly dedicated landscape photography conference called “A Meeting of Minds.” Because landscape photography can be a bit lonely, this conference is for landscape photographers to take a break from solitude and meet up with like-minded people. 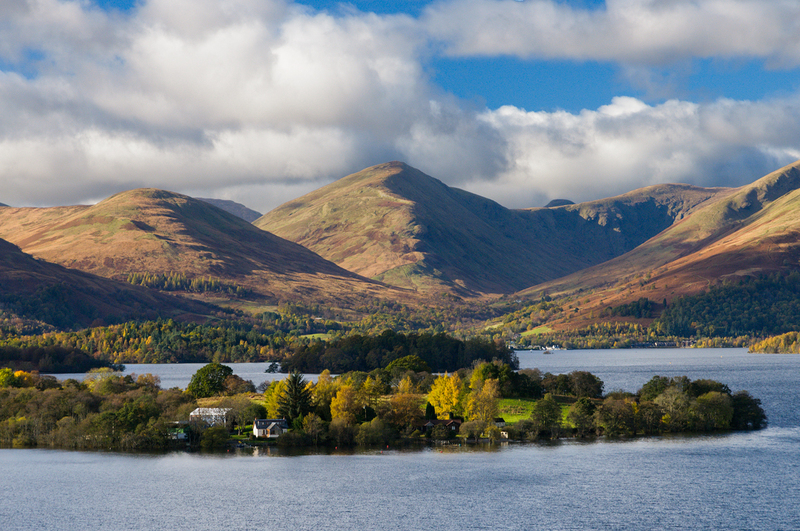 A Meeting of Minds 2016 will be held November 18–21 in Rheged Centre, Cumbria. It will include some amazing speakers, including Charlie Cramer, a notorious master photographer who was friends with Ansel Adams! 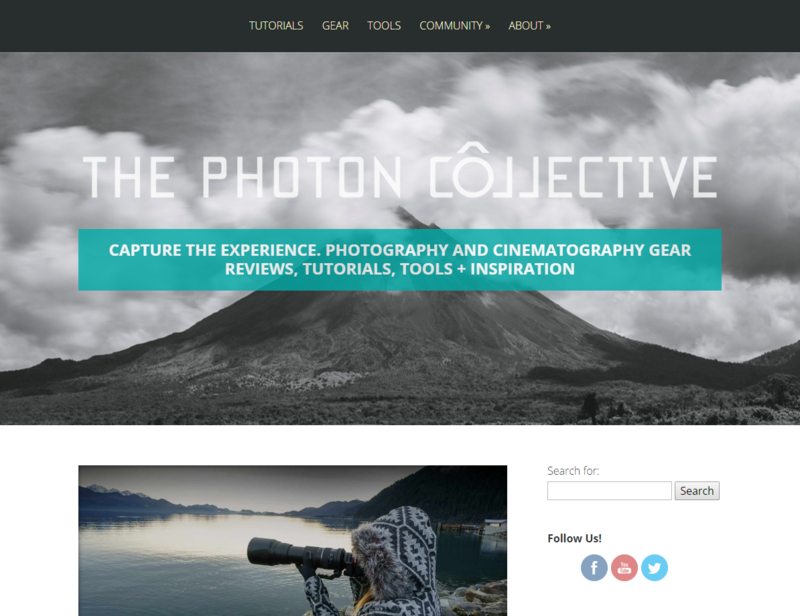 The Photon Collective is a photography blog run by Ian Norman and Diana Southern, both enthusiastic outdoor photographers who love to travel. 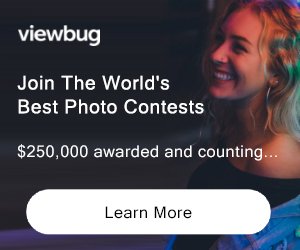 This website includes tutorials like “Simple Sunset Portraits” and “Moonlit Landscapes: A Tutorial,” as well as gear reviews and weekly photo challenges. They also give away a collection of free presets for Adobe Lightroom and Camera RAW, which are absolutely stunning. We hope you find these websites useful! Good luck on your journey as a landscape photographer!